Lancaster's ONLY, MOST EXPERIENCED vein center. Prior to any treatment, a venous insufficiency study must be performed to assess for backward blood flow. If it is found that you do not have venous insufficiency, there are other treatment options available. If a positive result is found, a personalized care plan will be established. These tests are performed on-site, with flexible scheduling options. Most insurances cover this test, as it is a diagnostic exam. If venous insufficiency is diagnosed, the first treatment would consist of closing the diseased vein, also known as Venefit. This is done in the office setting, with local anesthetic only. Go about your activities the very next day. There is no pre-procedure testing needed such as bloodwork, or EKG. There is no fasting prior to the procedure, and you do not need a driver. It is a minimally invasive procedure, covered by most insurances. We will assist with the authorization process prior to any services. In radiofrequency ablation (Venefit), the doctor inserts a small catheter into the diseased vein through a small incision. Consistent and uniform heat is delivered to contract the collagen in the vein walls, causing them to collapse and close. After the vein is closed, blood is naturally redirected to healthy veins, and the treated vein is gradually absorbed into surrounding tissue. 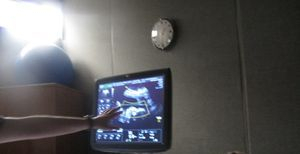 Ultrasound guidance gives the doctor a live view of your veins for better accuracy and safety. Venaseal (glue) uses a unique approach for treating varicose veins. This method delivers a small amount of a specially formulated, medical adhesive into the diseased vein to seal or close the vein. Just like the ablation closure, the blood is naturally rerouted to the healthy veins. This ultrasound-guided procedure is gaining momentum as being an even less invasive way to treat varicose veins. Dr. Kline is specially trained for this procedure, as well as the ablation procedure, and will talk with patients about the best method for treating the specific patient. Medicare covers the medical adhesive procedure. Other insurances will soon follow for coverage of this trending, popular procedure for veins! Once all the veins are closed that had backward flow, should any remaining veins be left behind due to the severity and progression of the untreated veins, a follow-up procedure known as phlebectomy may be beneficial. Phlebectomy will remove left behind bulging veins in very small segments by incisions so tiny that no stitches are required, Go about your normal activities the very next day. This is also covered by most insurances. Sclerotherapy is a safe medical procedure that treats both the symptoms and the cause of varicose veins and spider veins. Sclerotherapy treatment sessions usually take less than half an hour, with no hospitalization required. For sclerotherapy treatments, a series of microinjections of a solution are administered directly into varicose veins or spider veins. Compression stockings - Jobst brand stockings are quality medical grade compression stockings available in our office.. These are required to be worn after all procedures. Please ask a staff member about proper sizing, pricing, etc. Prescriptions will be given if you choose to buy your stockings elsewhere. Insurances may or may not cover these stockings. Please check your insurance benefits. FREE VEIN SCREENINGS HELD MONTHLY!!! 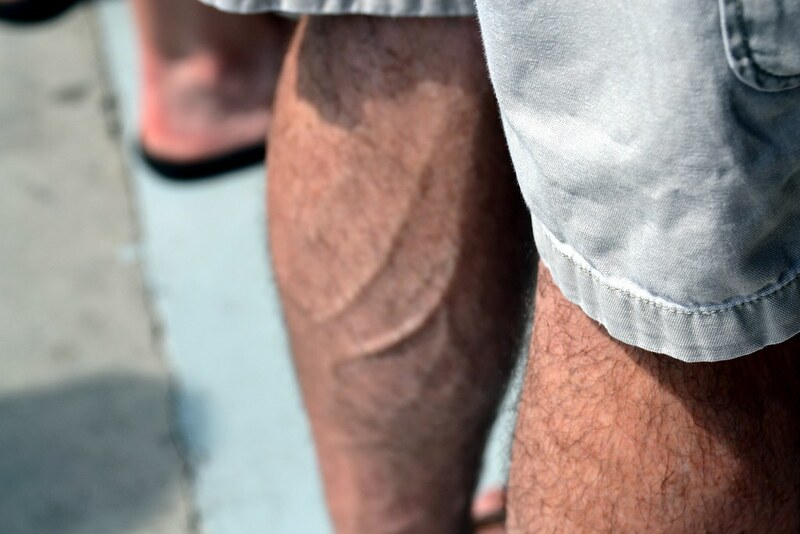 Do you have varicose veins, spider veins, or any of the symptoms mentioned? Each month we host a free, no obligation screening where you can come to our office, become educated about why varicose veins occur, meet Dr. Kline and the staff, and learn about what options may best fit you.